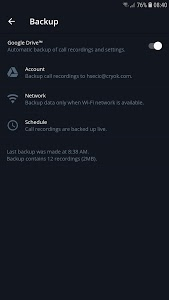 Blackbox™ is a professional call recorder developed to be a reliable tool for automatic call recording. 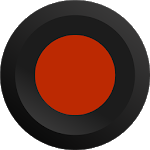 Designed with a clean interface Blackbox™ encompasses advanced call recording technology on a robust utility platform. 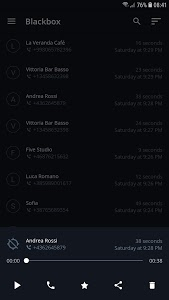 ▪️ Blackbox™ does not support VoIP calls from WhatsApp, Messenger, Skype, Viber etc. ▪️ Blackbox™ is not compatible with other call recorders. 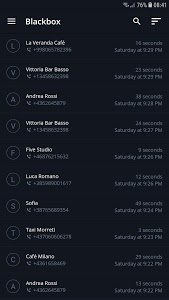 Users must be aware and comply with call recording laws and regulations in their respective countries in order to avoid any violation of local or international laws. 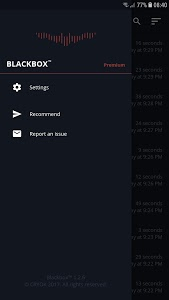 By using Blackbox™ the user accepts the notification above and agrees that the developer carries no responsibility for abuse or misuse of the application by the user. 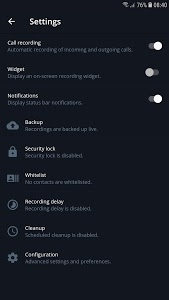 ▪️ Call recording is now supported on Samsung Galaxy S9. ▪️ Conversation sorting has been improved.